Everywhere you look these days, artificial intelligence is changing our world – from self-driving cars to smart speakers like Alexa and Google Assistant. The world of shared services and corporate finance departments is no exception. In a recent survey, CFOs ranked advanced analytics, AI and robotic process automation (RPA) among their top planned investments for the next several years. It’s an exciting time to be in AI, as we pointed out in Why 2018 will be the Year of Artificial Intelligence. Computers’ processing power is enabling AI systems to crunch hundreds of complex analytics at the same time, while machine learning algorithms have progressed to the point where AI systems can “learn” both autonomously and from human interaction. All travelers are not alike. Most business travelers toe the line when it comes to expense policies. Oversight Co-Founder and Former CEO Patrick Taylor pointed out that only about 5% of travelers engage in high-risk activities – fraud, waste, misuse, and repeat offenses. Another 25% may commit violations, but they’re mostly due to honest mistakes or due to a lack of familiarity with their company’s expense policy. An AI-based continuous monitoring and risk management solution like Oversight Insights On Demand® categorizes travelers based on their risk profiles. Then, based on the circumstances and the policy violation, it creates templated emails that encourage employees to make smarter decisions in the future. For example, a brief, friendly policy reminder would go out to a new traveler. On the other hand, a repeat offender would get a more stringent email, copied to their supervisor. Automated risk management. Travel expense management (TEM) systems automate expense report approvals and payment processes. Because of the focus on processing one expense report at a time, TEM systems find only clerical errors and low-level violations. 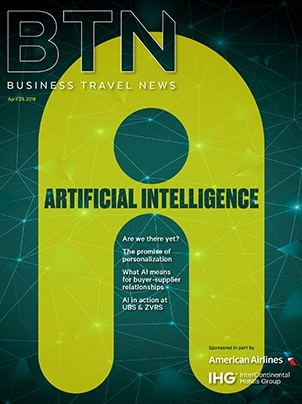 On the other hand, the best AI-based risk management solutions don’t just scrutinize individual reports – they analyze a traveler’s entire history and check it against various databases to find unusual patterns and non-compliant spending across time that a person would be unlikely to find in a manual audit. Data is driving policy changes. AI can analyze data from millions of expense reports to reveal that certain “violations” constitute rational behavior. For example, one company had flagged travelers who expensed in-room movies while on the road. But, after analyzing the data, they discovered that those travelers were spending less money on meals. “It turns out that the $7 movie is a bargain,” Taylor noted. Transforming T&E processes. AI doesn’t just automate business processes; it helps change them for the better. Take manager approvals of expense reports. Most people would admit manager approvals are little more than a rubber stamp, but tradition dies hard. After implementing Oversight, one Fortune 100 company decided to eliminate manager approvals. The company not only saved managers lots of time, it also realized huge cost savings in the process. Unlike other areas of corporate finance, AI solutions have been optimizing T&E processes for years. As AI technology advances, it will continue to transform the way companies manage T&E, procure-to-pay and purchase card programs. Interested in seeing firsthand how AI can help you detect and mitigate risk in your corporate spend programs? Request an Oversight demo today.